Before I go on raging in one of the most disappointing movies ever, here's a shout out to all the amazing women in the world as we celebrate the International Women's Day today! But then again, everyday should be women's day as we go on and strive through to battle the world like nobody's business...in heels! 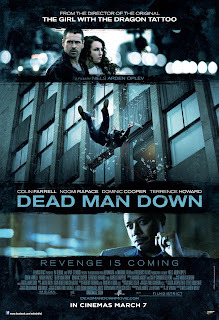 Anyway, back to the point...I got to watch Dead Man Down with Kin about two nights ago at GSC, Tropicana City Mall all thanks to Nuffnang and Nusantara Edaran Filem! While the trailer got me all pumped up and bloody excited, the movie was nothing but a let down. I hardly ever go on rambling about a terrible movie or point out on the worst things ever but Dead Man Down (DMD) is just horrible! To start off, this movie tells you about how Victor; a gangland player in an apparently crime ring struggles to fight for nothing but some good old attention from who appears to first be the leader of the crime ring and later on just a little nobody under the jurisdiction of someone else. And in comes Beatrice, the all too friendly yet mysterious neighbour that suddenly begins to wave a "hello" while having holding a cigarette. That "hello" lands Victor in hell when Beatrice asks him to kill some man who had apparently ruined HER life and we later see that Victor too has his reasons in being in the crime ring. I think I lost myself somewhere in this maze. No kidding, I was an hour into the movie and I still had to look up at Wai Kin to ask if he understand anything about the movie to date...and he said no. This is why we're together I suppose. We just don't get it. Even with tattoos you don't pass for a professional sniper / gangster boy! Colin Farrell stars as Victor; the man with a past that appears so horrible and yet takes his time in revenge for some unknown reason. 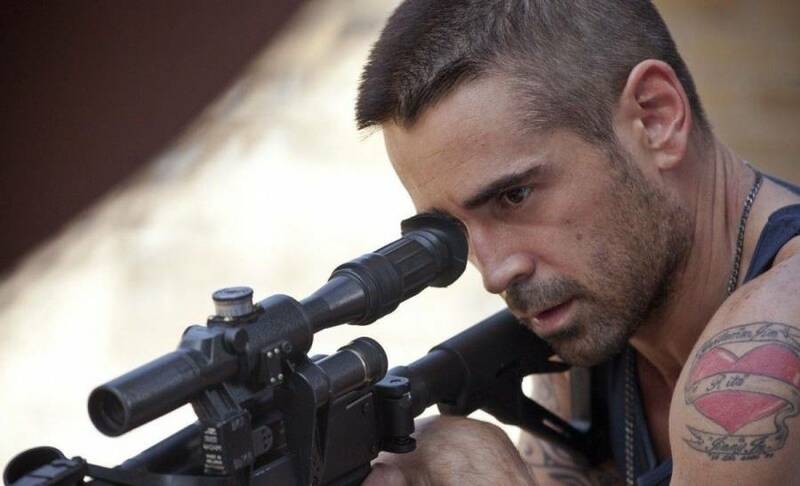 Sue me when I say this, but I don't think I've ever seen Colin Farrell in any movies or unless I have been watching them except I've just completely gone oblivious to them because he's nothing great anyway. The fact that he mumbled through the whole movie didn't help at all and the only thing I could hear coming out from his mouth was a four-lettered word that rhymes with "truck" and begins with the alphabet F. He hardly comes by my mind as a mournful husband and a dutiful father; which makes the movie even more pointless to begin with. Someone should tell Noomi Repace that it's nice to have ONE off shoulder crop top but when you deliberately pull down one side of the shoulder and tie up EVERY SINGLE TOP that you own, it would get bloody annoying. That...or someone did a terrible job at the wardrobe designing! 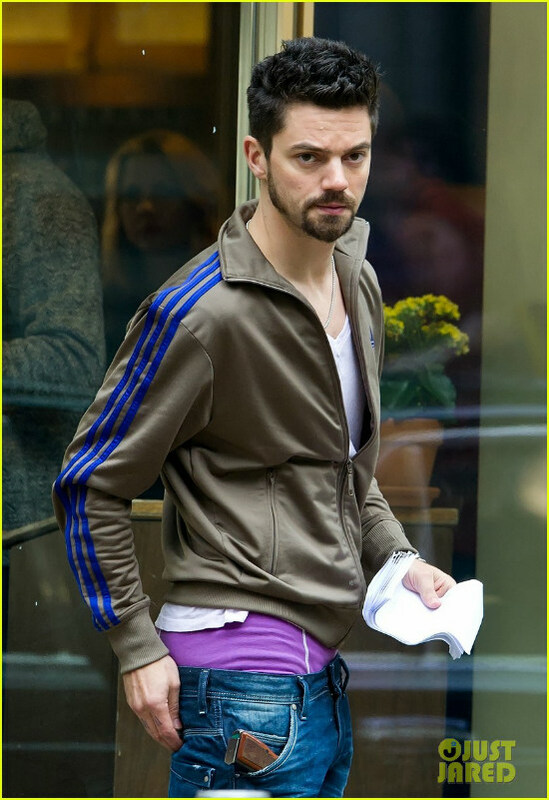 On a personal scale, Dead Man Down deserves nothing more than a 1/10 for it's horrible storyline, weak plot and an annoyingly terrible cast. I think the only reason I'm even giving it a point is that it has a nice poster. I am disappointed, I am. Someone tell me a cure to this horror, will you? Revenge is coming all right...but it's just from me to the director and producer of this terror.